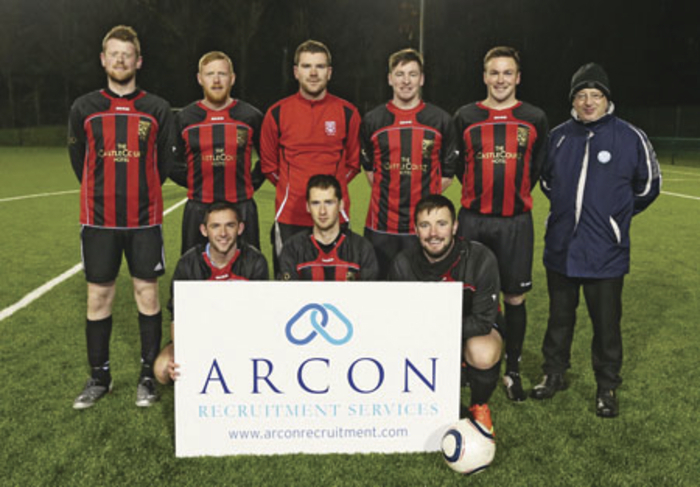 While some of their local rivals were bowing out of the FAI Junior Cup at the fourth round stage, Westport United were booking their own spot in that round last weekend with a 4-1 win over Claremorris in Concannon Park. The all conquering treble champions did have their supporters sweating for a while though, after they fell behind early on when Paul Burke finished a rebound to the net from close range. Westport United did manage to pull the game level before the break when Pat Fitzgerald rolled the ball to the back of the net after being set up by the veteran Vinny O’Malley. United took the lead early on in the second half when Martin Geraghty found the back of the net before Vinny O’Malley and Dave Cameron rounded off the win and booked their side’s place in the fourth round and their fourth meeting with Ballinasloe Town in the last three seasons. The game which kicks off at 2pm in the east Galway venue should be a right good tussle. There is one other fourth round game down for decision on Sunday and it is the all Mayo meeting of Ballyhaunis Town and Ballina Town in east Mayo. Ballina Town would be favourites on paper, but the way that their league form tailed off, and getting turned over in the shield final by Glenhest Rovers, will have Ballyhaunis Town fancying their chances of taking the win. In last weekend’s round four ties in the FAI Junior Cup, there was only one Mayo side guaranteed to make it into round five and that was the winners of the All Mayo League clash of Iorras Aontaithe and Ballyheane in Quigley Park. It turned out that of the three round four games played the winners in the other two games did not come from the Mayo League side, with both Castlebar Celtic and Ballyglass going out at home. Iorras Aontaithe booked their place in the fifth round thanks to a 5-2 win on the road to Ballyheane, with the goals coming from a Mikie Sweeney hat-trick, with Brendan Nallen and Michael T Togher also chipping in with a goal each. Sweeney put his side 1-0 up after 23 minutes, Nallen made it 2-0 just before the break and Sweeney grabbed his second just before the hour mark. Alan Tuffy pulled one back for the hosts with 20 minutes to go, but Sweeney completed his hat-trick very soon after with Togher rounding off the visitors’ scoring a few minutes later. David Sheridan did grab a consolation goal for the home-side four minutes before the end, but there was very little consolation in it for them. Castlebar Celtic made their exit from the competition at the hands of the Roscommon and District League’s Boyle Celtic who were 4-1 winners in Celtic Park on Sunday afternoon. The visitors were 2-0 in the lead after only 25 minutes, thanks to goals from Luka Roddy and Niall Brennan. By the half hour mark it had got even worse for Celtic as they found themselves 3-0 thanks to Brennan’s second goal. Celtic did give themselves a fighting chance when Paul Fitzpatrick pulled one back a few minutes before the break. An early goal in the second half for the Hoops would have made things very interesting, but it was the visitors who struck next with Brian McCrann grabbing his side’s fourth goal and killing off the contest. Ballyglass believed they could pull off a surprise at home last Sunday and they very nearly did, but the side, who have just gained promotion to the top tier of Mayo football, came unstuck at the hands of Roscommon and District Premier Division side Moore United. Ballyglass hit the front three minutes after the break when John Walsh put the Candy-Stripes into the lead. But it was not to be as Marc Butler levelled the game up 17 minutes before the end, and Graham Pettit grabbed the win eight minutes from time.